A beautiful and spacy studio near metro station Pole Mokotowskie. Only 2 stops from downtown (Central Railway Station, Palace of Science and Culture). 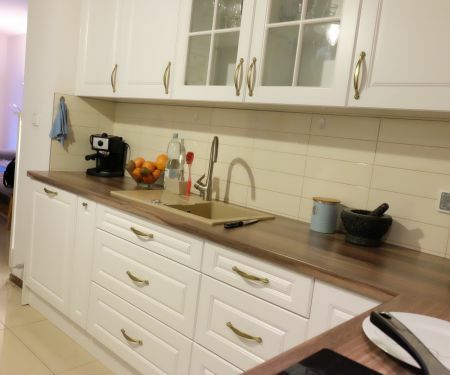 The apartment is located in very interesting (and safe) Mokotów district. The biggest parc Warsaw's in only 3 min walking distance). The studio has fully equipped kitchen, 2 single beds (which can be connected to one big bed) and a sofa bed. Only 5 min walk from SGH - Warsaw School of Economics. Erasmus students are welcome! My studio is located in the Mokotów district, 2 min walk to the metro station "Pole Mokotowskie" and 5 min walk to biggest (and greatest) Warsaw's park "Pole Mokotowskie".